You’ll put all of your blood, sweat and tears into it. You’ll get tough interview subjects to participate. Your editor will say ‘I love it!’ The fruits of your labor will be published. Maybe you’ll even get a cover story on the Web or in a magazine. You’ll feel good, proud, writerly. Then, you’ll wait for payment. And wait. And wait. 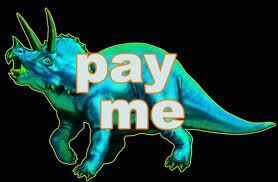 All this week, I’ll write about my occasional issues with non-payment. When do you need to be nice? When do you need to be firm? When do you need to go to the next level and get the courts involved? And if you win in court, does that mean you’ll actually be paid? Recently, I talked with a young journalist who waited six long months to be paid. That long wait shouldn’t happen. The New York Videogame Critics Circle is here to help. But you can help yourself as well. Come back tomorrow to learn how.